I could see concern or worry on the faces of Gayle’s teammates when she fell during the soccer game. Gayle did get up again and wanted to keep playing, but I felt concern or an interest in her well-being since I didn’t know how she was really feeling. There was concern or fear among the coaches that Gayle would not be able to score with a sore foot, but they still did not want to take her out of the game. I wanted to make sure she didn’t get hurt any worse, so whether or not she scored a goal was not my concern or matter to look at closely! Quiz: Try again! What is a concern? It is a thought that you have about a difficult situation. It is a worry or a fear that you have about something troubling. It is a forgetting of something troubling that you went through in your past. If you show concern towards someone you are worried about her or him for some reason. Once Earned ... Lack of money need no longer be a concern once you have earned some! If you have a concern about something, you have “thoroughly sifted” or “thoroughly separated” it from your other thoughts as something you “perceive” you should be worried about or could cause a problem. 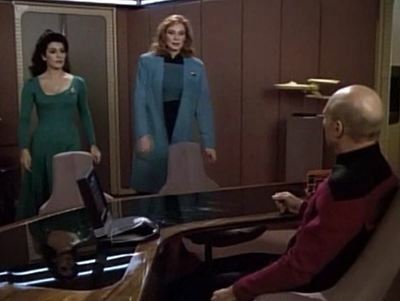 Star Trek the Next Generation: "Night Terrors" Beverly Crusher the doctor and Deanna Troi the counselor are concerned about the ship's crew.